Istanbul Airport Attack Leaves 28 Dead and Over 60 Injured! 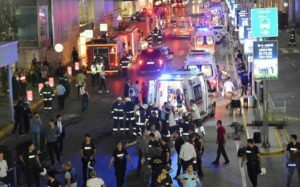 Breaking News: Attack at Istanbul Airport Leaves 28 Dead and 60 Injured! Turkish officials believe Isis is behind the attack!